A key goal of this blog, right from the very start, was to celebrate "world whiskies", or "new world whiskies". That goal has never changed (and in fact I now write a monthly column on the subject in Hong Kong's Malt & Spirits magazine), so it's fair to say when a world whisky has a "coming of age" moment, like releasing their first 10 year old single malt, it's a cause for celebration. Mackmyra have done just that recently, with the launch of Sweden's first official ten year old single malt (simply called "Mackmyra Ten Years") - also the first Mackmyra to officially bear an age statement. 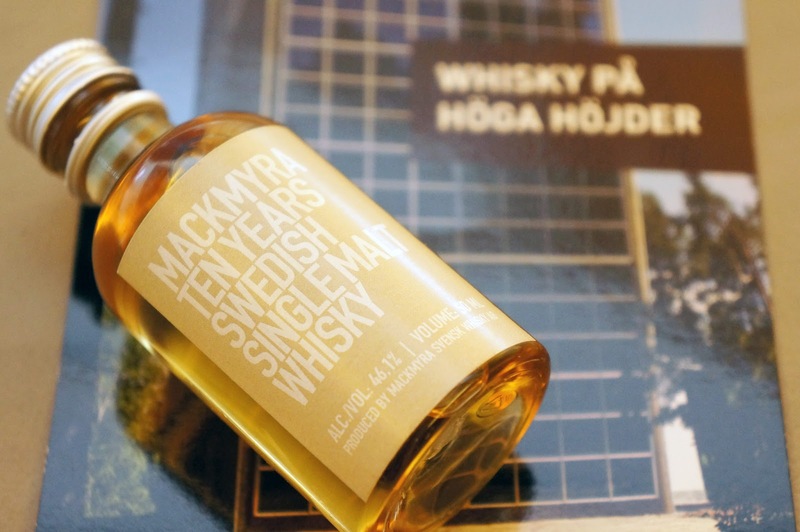 Bottled at 46.1%, the whisky was aged 50 metres underground in Mackmyra's Bodås mine warehouse, and has been released in a run of 20,000 bottles (12,000 retained for Sweden's alcohol monopoly retailer Systembolaget, 8,000 for various export markets). Nose: Lemon zest, grass, tea leaves, pot-pourri and pear initially. After a little more air comes some undertones of rich vanilla. I've always enjoyed Mackmyra, but there's more to this than any I've tried in the past. Palate: "Sweet and zesty" in a nutshell. There's stewed/baked apple. Hints of lemon (less than the nose though). Some raisins, and a lot of fruity herbs - like a fruit tissane tea. There's a creaminess, some "fruity cream", and even some candied orange. It's a fruit bomb, and a delicious one at that. Rating (on my very non-scientific scale): 91/100. To me, easily the most complex, matured and "well-rounded" Mackmyra to date. There's a lot of fruit, but not like a tropical fruit bomb like a lot of ex-Bourbon matured Scotch. No, this is fruity, but in a uniquely Scandinavian way, if that makes sense. Definitely worth a try. Tasted #359: Heartwood "Mediocrity be Damned"